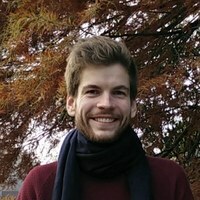 I’m pursuing my PhD at the Idiap Research Institute and École Polytechnique Fédérale de Lausanne. My research focuses on speech recognition for pathological speech with limited resources. Previously I have completed a BA in Computer Science, Linguistics and French at Trinity College Dublin. I then did an MSc in Speech & Language Processing at the University of Edinburgh and worked with Sharon Goldwater on unsupervised modeling of speech for low‑resource languages. During internships at Google I have also worked on coreference resolution and speech synthesis. Speech recognition, unsupervised learning, computer‑assisted language learning and pronunciation training, and other topics in speech and NLP.